Imagine owning a yacht, Instagramming your fave "I'm on a boat" pics to your bffs and soaking up the Seattle sun as you drift along the Puget Sound this summer. Sounds like a luxury reserved only for the minted and glamorous set. Not to mention a potentially bad investment—especially considering our area's few days of boating-friendly weather. 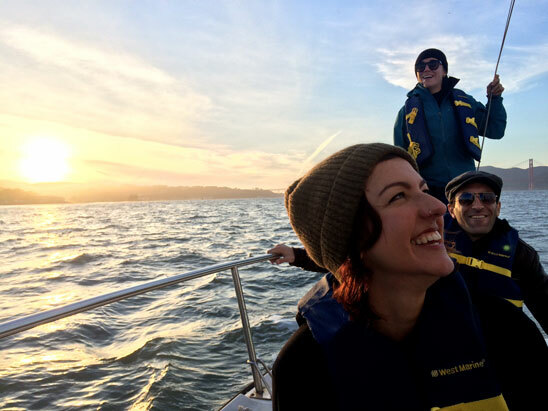 Aaron Hall, the founder of San Francisco-based Boatbound had a vision to change that. The two-year-old startup aims to make boating accessible to all and make owning a boat actually worth it. Boatbound officially sailed over to Seattle last summer (we covered its expansion in our August 2014 issue). If you haven't heard of it, Boatbound borrows the Airbnb business model — only for watercrafts. Boat owners list their vessel online to rent, which helps to offset owners' costs while renters enjoy the boating lifestyle without the commitment of buying one. In April 2015, the company's bookings doubled compared to those in April, May, and June of last year combined. And more than one fifth of Boatbound's booking inquiries originate in the Pacific NW. Of those, half come from Seattle. "I'd say [this service] is the perfect option for [someone like me]," says Chris O., a Boatbound frequenter, who has thought about investing in a boat. "You can try any number of boats you want before deciding to buy. And if you decide to buy one you can now offset the costs by renting it on Boatbound. It's a no brainer." Boatbound offers boat rental experiences with boats for all purposes: fishing, cruising and watersports, sailing, and more. Daily rental costs range from $50 to upwards of $1,200 depending on the type of vessel and amount of time you rent it out. 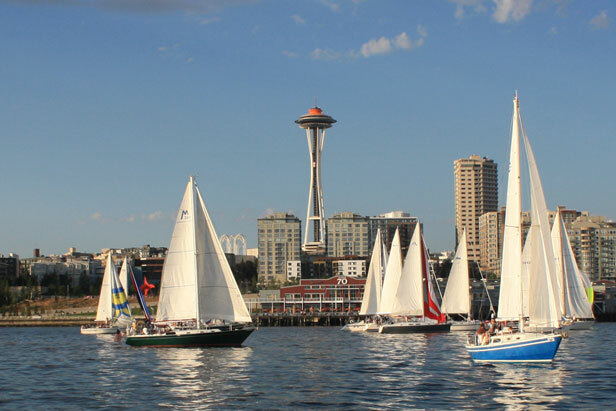 In most markets including Seattle, the most popular rentals are powerboats (18 to 27 feet in length and approx. $450/day in rentals). With more and more high grossing startups featuring peer-to-peer business models like Airbnb or VRBO, the question of safety and trust is inevitable. What happens if a renter pulls a Crazy Ivan and ends up bow-to-stern with a sailboat? According to a company spokesperson, incident rates are less than half a percent—so they barely occur. When they do, Boatbound offers up to $3 million in insurance protection to fix 'er up. If anything fishy happens out on the water (e.g. dead battery), they send someone out to save your soul. Boat owner, Blake T.*, said renting something out that you feel is your baby is tough. He recalled a time one renter put a scuff in the bow of his boat while going through some locks. The renter reportedly called out a boat detailing company the next morning that "not only polished out the scuff, but did a bit extra as well." Boatbound has serious screening procedures (including criminal and driving violation history) before renting out a boat without a captain; and in the end, the owner vets each renter and gets final say. With the Puget Sound (or Lake Washington, Lake Union, etc.) just a stone's throw away, Boatbound seems to be Seattleites' new bff this summer. Anchors away, my friends. * Some original names have been changed for privacy purposes.